If your dream Caribbean vacation location is to travel to St Lucia, then you are in luck. We are giving you 6 true amazing reasons why you or anyone can afford to travel to St Lucia this year. If you feel like you just can not get away on a much-needed vacation because every travel booking site you check is out of your budget then you are wrong. 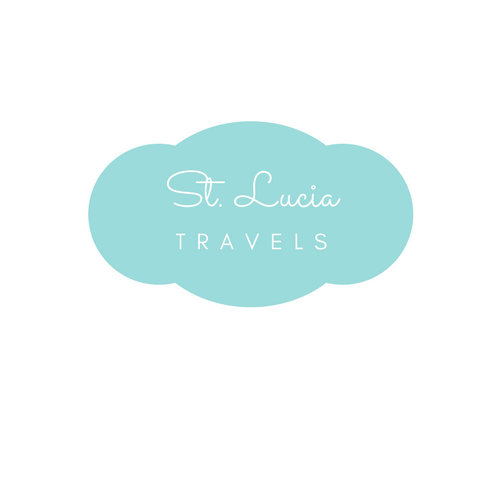 You can definitely afford to travel to St Lucia and we will show you how. Before we get started, we want you to give our Facebook page a quick like and be sure to follow us on Instagram for some amazing inspiration. Can you really afford to travel to St Lucia? Yes, you can. We will try to change your mindset today and have a vacation booked for you by the end of this post. Avoid traveling during the busy season such as March break, summer holidays and the big holidays. Airfare tends to be much more expensive during the busy seasons and holidays. Try booking your travel to St Lucia when fewer people are booking a vacation. If you flexible, this route will save you so much money. The busiest and the most expensive time to travel to St Lucia is from December to April. Do keep an eye out from your country to see when flights are most busy. The best time to visit St Lucia is between May and June – rates are a lot cheaper. Try using Priceline, Bookings.com or One travel. Yes, you can book last minute vacations if you are lucky, but try to book at least one month ahead of time. Buying a ticket that is extremely last minute may blow your budget leaving you feeling like you should not have booked that vacation. You can find many travel resources that will allow you to save money on a vacation. If you sign up as a new member on Bookings.com, you can be eligible to get up to 50% off on your first booking. Ever wondered why your Facebook wall is filled with friends constantly traveling somewhere? Chances are they are traveling for free. If you are a big traveler or inspire to be one, then you should apply and start using credit cards that can rack up your travel points. This way you can have at least one to two free flights per year depending on how often you travel. A lot of travels take advantage of perks that come with travel cards which may include frequent flyer miles, free stays, free check baggage and more. You can also apply for travel discount cards. Look up online to see what they are in your area. Caught the travel bug and feel like you can’t afford it? Start saving! Grab yourself a saving travel jar like this one. Put aside $50 a week for 24 weeks and reward yourself with $1200. That is 6 months worth of savings. Enough time to put in your vacation request and start planning your dream vacation. This may not seem like a lot, but with good planning, you will be able to afford an amazing 5-day vacation in St Lucia. Remember travel during downtime – May and June, plan ahead and find alternative accommodations such as these. Read the full story of how this family of 4 enjoyed a 9-day vacation in St Lucia. Do you really know where all your money is going? How many of you do not take lunch to work or spend too much money on a $4.00 coffee? Sounds small but this can add up quickly. Let me show you what we mean. If you are a coffee drinker like me and you get your coffee from Starbucks, then you are spending about $4.00. Most coffee drinkers get about 1-2 cups of coffee per day. That is $4-8 per day during the week. If you do this 7 days a week, that is between $1, 456 and $2, 912 per year. Do I hear a vacation coming up? Other ways you may be overspending is on gas, unplanned grocery shopping, eating out, phone bills (if you go over your spending cap), cable – What? Do you still have cable in 2018? Are you ready to travel to St Lucia with us this year? You can afford to travel to St Lucia if you have the right mindset. This requires some participation from you. Why not get a temporary part-time job such as bartending, serving food at a popular restaurant or retail on weekend. You can make great money and if you get tips, these alone can help pay for your vacation to St Lucia. Ladies Make Money online, has a lot of tips on jobs you can do working from home, full or part-time to make extra cash such as this one. Find creative ways to make extra money fast and join us in St Lucia. If you liked this post, be sure to Pin it now. Thank you for this great post. Loved it! Very helpful tips, especially the travel jar and travel credit cards. My friends were planning on trying to travel to St. Lucia, I will share this post and try to help make it a group trip! I would love to go to St. Lucia one day. It looks really awesome! Those pictures don’t even look real. I keep seeing very affordable flights to St. Lucia. I’ll add a tip: follow travel social media accounts. They often share flash fares and sales.